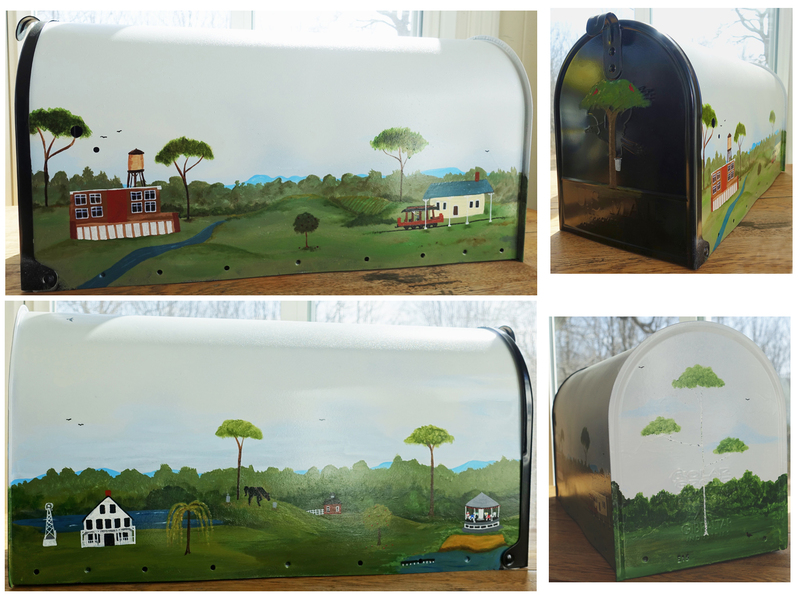 The Sand Lake mailbox is painted in folk art style and includes a few of Sand Lake's historical highlights: the mills, the trolley, Crooked Lake House, town schoolhouses, and the Crystal Lake Carousel. Click on the image below to enlarge it further! March 18, 2017 -- asm © 2019 Sand Lake Historical Society; all rights reserved.